This week's random butterfly is the Malay Tailed Judy (Abisara savitri savitri) a moderately rare species from the family Riodinidae, collectively known as "Metalmarks". The Malay Tailed Judy appears to be more common this month, with many individuals being sighted in various areas in the nature reserves of Singapore. 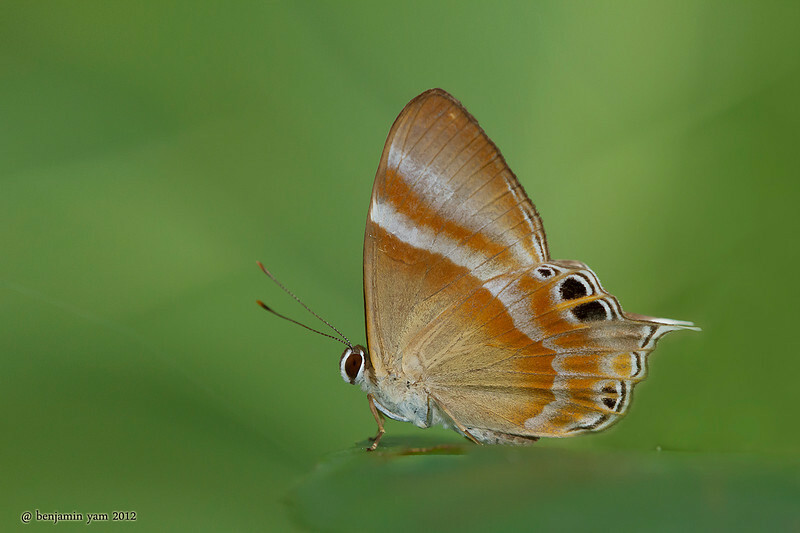 This shot was taken by ButterflyCircle member, Benjamin Yam, over the Easter weekend.